In Italy, the country where Ultras movement was born, last few years ultras suffer from big repression. This season is specially hard! Italy, the country where Ultras movement was born, last few years ultras suffered from big repression. 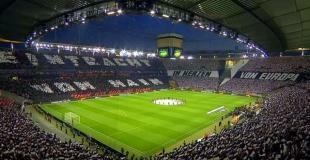 Everybody used to watch their tifo's, actions and copy their work. But today situation is different... Stands in Italy now looks sad, specially those where away fans should be. Police and government forbid real ultras to enter stadiums. In 2009, they created famous "tessera" cards. It's ID supporters cards (like credit cards) which police an club gives only to people who never had bans. Only with "tessera" you can buy season ticket or ticket for away matches. The card have microchip so the police can trace every movement. Also since 2007 for banners and choreographies you must send fax to police before match and wait for their permission to bring it into stadiums... Also fines for pyro are extreme high! Ofcourse ultras in Italy are against this system, and on meeting in Catania 2 years ago they decided not to accept "tessera rules". They will try to go on away matches and stay outside stadium, or try to buy tickets for home tribune. Also there was big protest in Rome 2009 against tessera cards. But not all groups respected this. Groups from Inter, Milan, Juve, Verona, Nocerina, Chievo and soem others accepted tessera and get back in their stands. Last summer on a meeting of Ultras groups in Latina, group of fans from Milano came armed and made chaos. 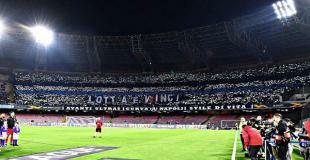 So now we have 2 ultras fronts in Italy. 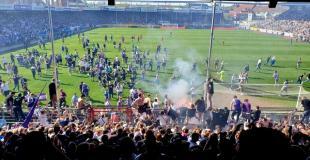 Really hard situation for ultras in Italy, what are ultras without away matches? 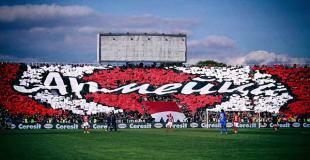 Also disunity between ultras groups don't help them in this fight, but for sure they won't give up! You can read more about Italian ultras scene on our forum.